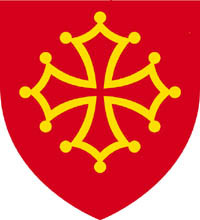 In (English) heraldic terms the cross of Toulouse is described as "gules a cross clechy pommety and voided or". 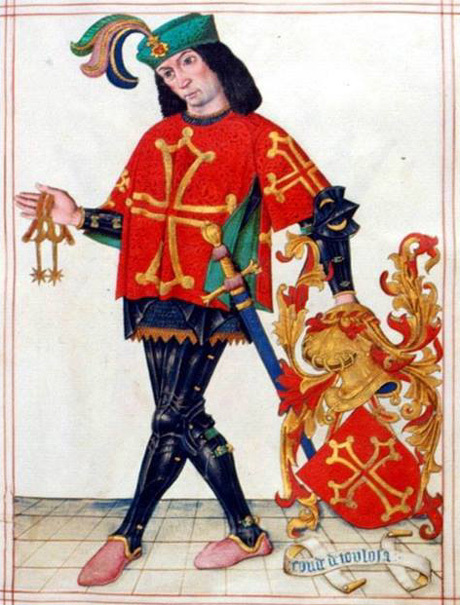 In French Heraldic terms as "de gueules, a la croix vidée, clechée, pommettée et alaisée d'or". Both translate into lay language as "on a red background, a yellow cross with pointy ends and its centre cut out, and a bobble (pomette) on each of its 12 points. Livro do Armeiro-Mo is an illuminated manuscript dated 1509, created during the reign of King Manuel I, fourteenth king of Portugal. 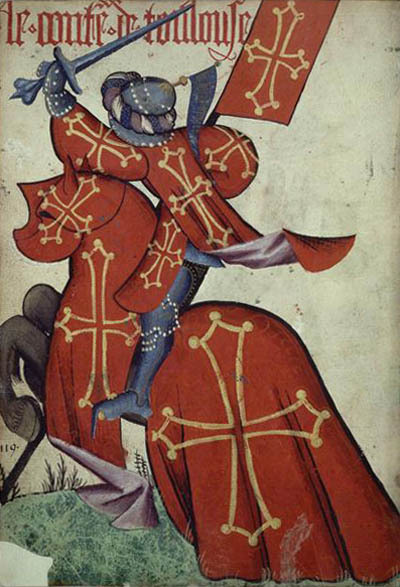 The codex is an armorial designed by João do Cró, Rei de Armas (John Cro, King of Arms). It is considered one of the masterpieces of illuminated manuscripts preserved in Portugal. inscription du haut en gothique : "le conte de toulouse"